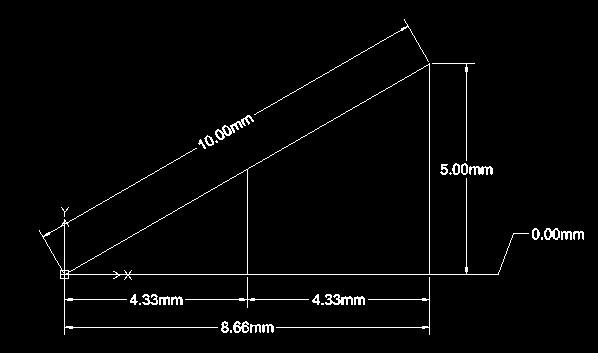 Ok, Lets discuss about Dimensioning in DraftSight. You can find all dimension command options under ‘Dimension’ Menu on Menu Bar of DraftSight. So, Lets get started with Different Dimension options in DraftSight. Specify first extension line position» Select first point of aligned line. Specify second extension line position» Select second point of aligned line. Specify dimension line position» Select dimension line position . You have noticed some options in command line in blue text. When you run command then you have option to select Entity or first extension line point . Select Entity option by typing ‘e’ and press enter. Now select line and this command will automatically select both end point of line for aligned dimension. Now you just have to place dimension. When you select first and second extension line position then you have options to change Angle , note and text of this dimension. These otions are also repeated in next dimensions. Type ‘a’ for angle and then specify angle for dimension text. This is useful if you want to align dimension text to dimension line. Type ‘n’ for Note to add note text to dimension text from NOTE command. This will pop up note formatting dialog box. 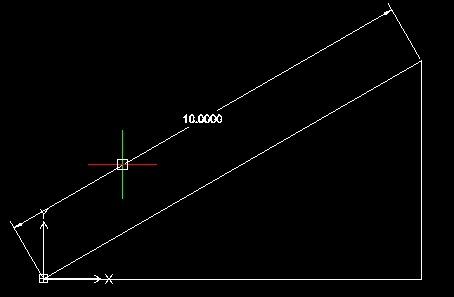 Note: You can use angled dimension for Linear entity such as line which is also angled line with 0 degree angle. Horizontal: This option creates horizontal dimension parallel to x -axis. Suppose you have selected diagonal points of rectangle then you can place horizontal or vertical dimension if you move mouse cursor to vertically or horizontally. If you select dimension then you can place horizontal dimension only if you try to move mouse cursor horizontally to place dimension line vertically then it will place dimension line horizontal to x axis only. Rotated: After selecting first and second extension point , Choose Rotated option. Specify dimension line rotation» Type angle or selected angled line first and second extension point to place dimension angled via this Linear Dimension Command. 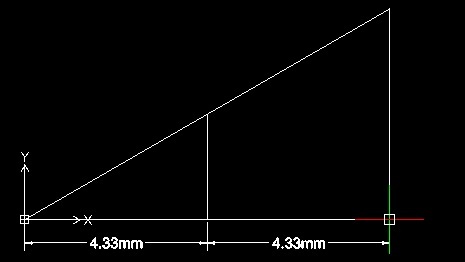 Vertical: This option creates horizontal dimension parallel to y -axis. You can place vertical dimension only. 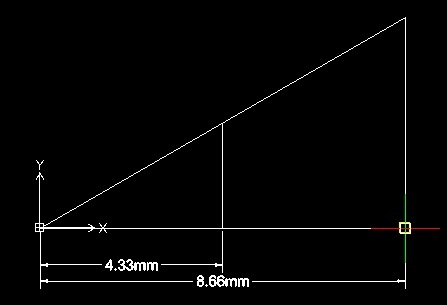 Baseline dimension uses first extension point of last dimension placed in Drawing. If there is no dimension in drawing then you need to specify base dimension. BASELINEDIMENSION command, and select base dimension option as below. and specify datum position such as 0.00 for origin datum point and then specify dimension position. Options available with ordinate dimension are as below. X datum: If select this option then datum point can be selected with respect to x ordinates only. Y datum: If select this option then datum point can be selected with respect to y ordinates only. set Zero: If you have specified datum position and want to set it as ‘0’ Zero origin point then use this option.